"Death is inevitable", it's a proven and one of the rarest accepted facts globally, but just because it is inevitable should one be deprived of living the life that they want, the way they want to, with whom they want? The immediate response to this would be a big yes, but how would you react if you weren't allowed to live the life in a way that you want to? Don't you think that some serious thinking needs to be done on how we humans and as humans are letting others humans live the life that they want to. 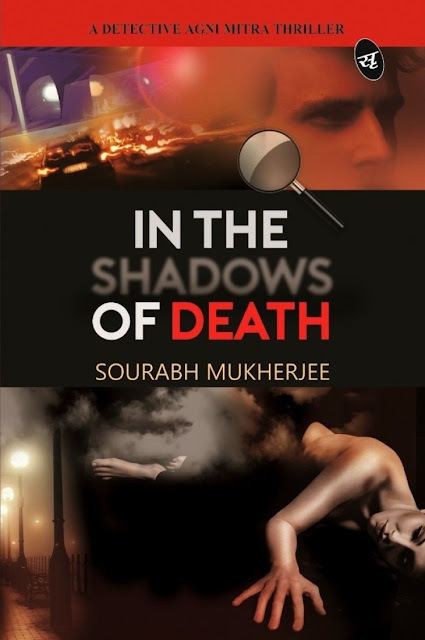 I recently read, In The Shadows Of Death, a book by the debut author Sourabh Mukherjee which is a psychological crime thriller right from the word go till the last page. 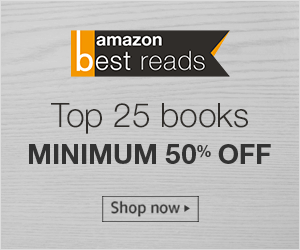 The story is set in the culturally rich and aesthetically beautiful Kolkata and revolves around the individuals and their lives, who are living it on their own terms, but these terms start affecting people, not only mentally but also physically. The story is also a take on the highly messed up professional and personal life, it may not be a message but it conveys that the relationships today are more materialistic than ever and they are probably only going to soar high. The book, In The Shadows Of Death, starts with a death scene and then the story continues in the quest to find the killer. The Police investigation is led by Agni Mitra, one of the finest at his work who starts putting everything in place, but just before he can announce the killer, other reports of deaths in a very similar fashion start popping up around the city. Agni Mitra, while jotting down the similarities in all these killings, also suffers a not-so-personal loss which agitates him further and his determination to find the killer only raises the bar. The killer on the other hand keeps on hand-picking his targets and finds the investigation developments against him interesting and takes it another level by playing mind games with Agni Mitra and the killings that he does become thought through, but soon Agni Mitra closes the loop on the killing pattern and is set to get hold of the killer. In the end, it's not about who wins, but the underlying message that the book has to share about the modern day relationships and the problems that they surface. In the story, one thing that is consistent is thriller, even at the end when the killer confesses about the reasons for his emotional killings. I just passed on a hint here, but you won't be able to relate to it unless you start reading the book. All the leading characters in the book are defined in such a casual way that you can relate to them. There are very few diversions from the actual story and you will find yourself glued to the book wanting to know more about the end and the killer. I would recommend this book to anyone who loves reading fiction and thriller. Hi Ami, Glad to know that you would be reading the book. Do share your thoughts about the book here when you are done reading. Thank you.